Why Shot Shell Limits in Refuges and Wildlife Areas? Answer: This is a rule that applies to many National Wildlife Refuges (NWR) and Wildlife Areas (WA) in the state. It was put into place to increase effective shooting by waterfowl hunters on public hunting areas, thus ensuring a more enjoyable hunting experience for all hunters on the area. By limiting the amount of ammo a hunter can carry into the field, the goal is to reduce possible unsportsmanlike behavior (e.g. excessive and/or less discriminating shooting) which will improve the hunting experience. 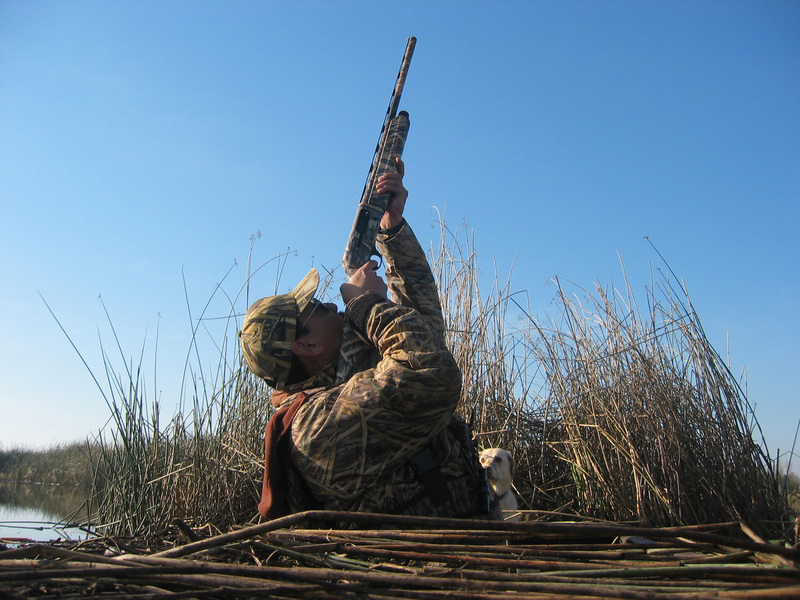 According to Department of Fish and Game (DFG) Waterfowl Biologist Shaun Oldenburger, Los Banos WA established the first shotgun waterfowl shell restrictions in 1977 with a limit of 50 shells per day. In 1978, this regulation was expanded to Kern NWR (25 shells) and in 1979 expanded to nearly all San Joaquin Valley NWRs and WAs (25 shells). Grizzly Island was included in 1980. By 1985, shell restrictions expanded to all Sacramento and San Joaquin Valley NWRs and WAs, and in 1986 San Jacinto was included. In 1979, when the 25 shotgun shell restrictions were first established in the San Joaquin Valley, the waterfowl season length was 93 days with a seven bird bag. By 1988, waterfowl populations had declined and so the season was reduced to 59 days and four duck bag limits. Still, the primary purpose of the 25 shotgun shell restrictions is to increase both the hunting experience and improve overall shot selection by waterfowl hunters. Daily bag limits will not dictate these restrictions, since removing them may increase the unsportsmanlike behaviors that caused their introduction to begin with. Fortunately, waterfowl populations in California are currently healthy and so a more liberal bag limit is now in place. Hopefully, with this combination of healthy waterfowl populations and the 25 shotgun shell restrictions in place within the NWRs and WAs throughout the state, hunters are enjoying their hunting experiences now and will continue to do so well into the future! Scuba to catch Dungeness crabs? Answer: SCUBA divers may take Dungeness crab using only their hands. No hooked device may be possessed while taking Dungeness crab while diving (California Code of Regulations, section 29.80(g)). Archery hunting within the city limits? Answer: As long as the season is open and you have permission from the property owner, Fish and Game law does not prohibit you from hunting within city limits or on golf courses. According to DFG retired captain Phil Nelms though, many local jurisdictions have enacted ordinances in the interest of public safety that may restrict your ability to hunt in these public areas. Please check with the City Police or County Sheriff to see what, if any, such ordinances may exist in your area. Keep in mind too that any type of firearm or other deadly weapon (archery) may not be discharged within 150 yards of an occupied dwelling (Fish and Game Code, section 3004). Permission to hunt on private property must consist of a one-on-one agreement between the property owner and the hunter. A sample signatory form can be found on DFG’s website at www.dfg.ca.gov/licensing/pdffiles/FG994.pdf. Where to find fishing regulations? Answer: Regulations are available online at www.dfg.ca.gov/marine/sportfishing_regs2011.asp and from DFG license offices and businesses that sell fishing licenses. To find a distributor in your area, go to www.ca.wildlifelicense.com/InternetSales/OutletSearch/FindOutlet and enter just your city and zip code. You will then be provided with a list of locations in your area that distribute regulation booklets. This entry was posted in Archery, Diving, Firearms/Ammunition, Info, Methods Of Take, Methods Of Take, Regulations and tagged ammunition, archery, crustaceans, Diving, Duck Hunting, firearms, freshwater fishing, ocean fishing, regulations, waterfowl. Bookmark the permalink. I agree with the 25 shot shell limit in waterfowl hunting areas. Something to take into consideration is to restrict 3.5 inch shot shells also. It is extremely irritating when you have birds working and some hunter using their 3.5 inch anti aircraft shells starts blasting at birds 100 yards high and ends up crippling them because he or she thinks they can effectively take down a bird at that range with these shells. People like this make hunting for everyone else difficult because it flares birds and forces them to fly higher which in return forces everyone to try to take longer shots. If 3.5 inch shells were not allowed to be brought into the refuges then it would reduce the number of crippled birds and also make the refuge experience much more pleasant.